You can see under my product reviews tab, or “technology” tab that I review a lot of iPhone cases. I love a good protective, stylish iPhone case and love changing mine out a lot. I have to say that this one made by Tech21 is my favorite. It’s the best one I’ve ever reviewed! Let me tell you why! It’s really hard to find a case that provides the ultimate protection for your phone, but doesn’t add bulk to it. Tech21 protects the iPhone in a different way without the added bulk. One of the things I do a lot is slip my phone in the back pocket of my jeans, especially if I’m doing stuff around the house or in the yard. Well when my iPhone is sporting the Otterbox case when I really need it to be protected, for example running around with the kids, gardening or anything where it may fall and get damaged. But with the Otterbox case, I can’t put it in my pocket. It’s just too fat for that. Tech21 protects the phone without adding bulk to it. Instead of adding a layer of thickness to the phone, It protects the edges of the phone outwardly. 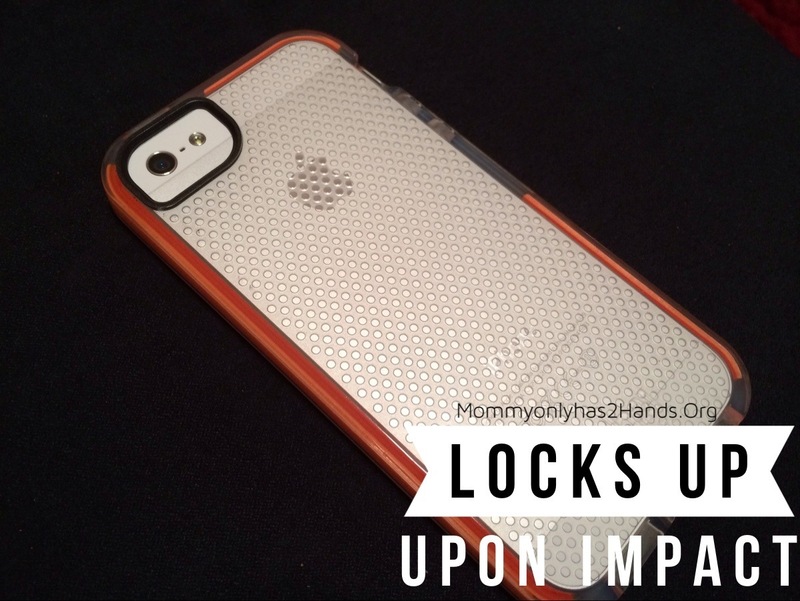 This impact mesh technology, according to Tech21, locks up upon impact. Check out the video below to see exactly how this case provides the ultimate protection for your phone. So instead of beefing up the device with plastic, it just adds a layer of protection around the device and redirects the impact. So with this case on my iPhone 5, I can slip my phone into my back pocket, my jacket pocket and it still feels thin and sleek and I love that it comes in fun colors like blue, pink, orange, smokey, or even clear. For me, this case provides the best of both worlds. It helps you keep that sleek feel of the phone but provides just as much protection as thicker “boxier” cases. I was given a free product to facilitate this review. All opinions are 100% mine.